Moving Histories is an original and enlightening book which details the lives of women who left Ireland after independence. 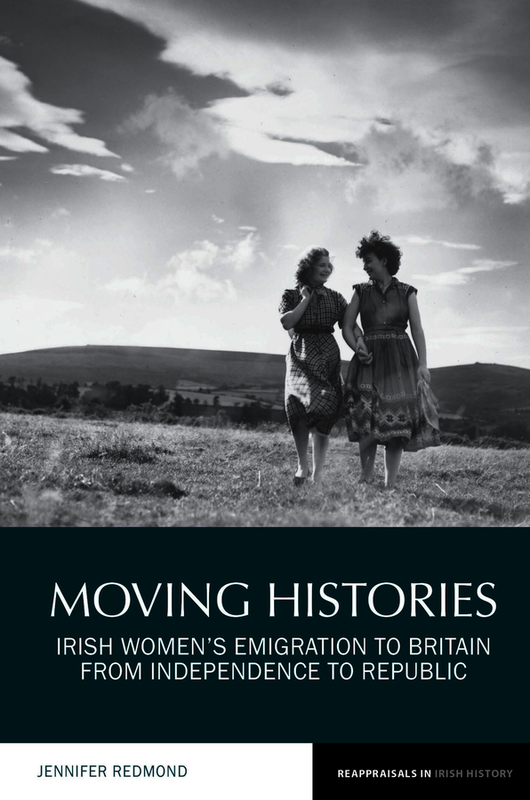 Drawing on a wide range of archival material, this book traces new narratives to bring original insights into the migration of thousands of Irish women in the twentieth century. Despite having a strong tendency to leave Ireland like men, women’s migration to Britain has been less well studied. Yet Irish women could be found in all walks of life in Britain, from the more familiar fields of nursing and domestic service to teaching, factory work and more. This fascainting study also considers the public commentary made about Irish women from the pulpit, press and politicians, who thought the women to be flighty, in need of guidance and prone to moral failures away from home. The repeated coverage of the ‘emigrant girl’ in government memos and journals gave the impression Irish women were leaving for reasons other than employment. Moving Histories argues that the continued focus on Irish unmarried mothers in Britain was based on genuine concerns and a real problem, but such women were not representative. They were, rather, an indictment of the conservative socio-cultural environment of an Ireland that suppressed open discourse of sexuality and forced women to ‘hide their shame’ in institutions at home and abroad. Dr. Jennifer Redmond is Lecturer in Twentieth Century Irish History and the Director of the MA in Irish History at the Department of History, Maynooth University.